One more song for today. 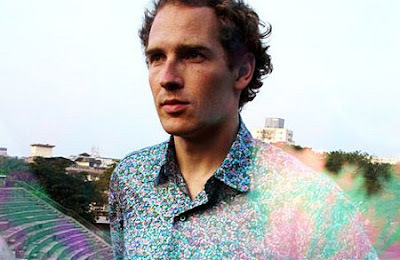 Here's Caribou and Odessa. Oh lordy, I think my taste in music is changing rapidly. I'm off to listen to Five Star's greatest hits. As featured on Panti's blog today here's a rather brilliant trailer for the cult bad movie Showgirls with the audio from the oscar nominated Black Swan which I really thought was a B Movie too. Two songs from Ladytron. 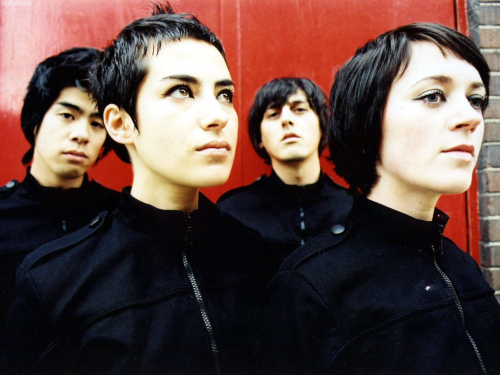 From 2002 here's Seventeen and from their Best of 00-10 album here's their newest single Ace of Hz. 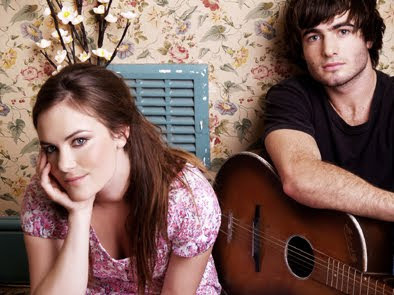 Angus and Julia Stone are brother and sister and their song Big Jet Plane won the ARIA single of the year in 2010 in their native Australia. I only discovered it today. The video suits the song perfectly, watch it here. 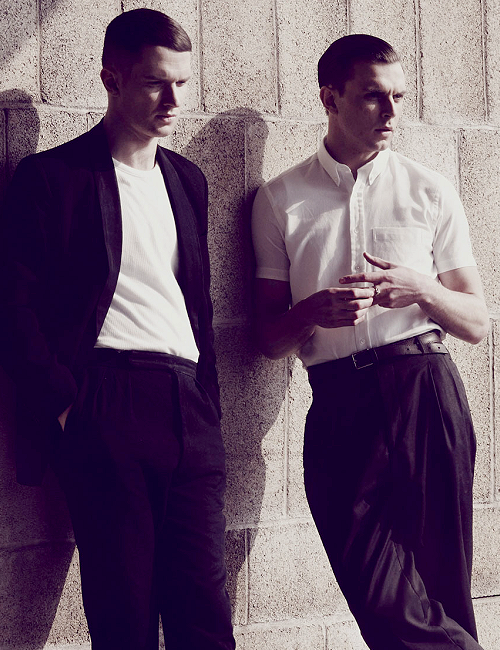 I have liked all of Hurts singles so far and their newest song Sunday is no exception. The video has just been released. Here it is. Viva art school pop! I haven't been blogging for the past few weeks because there has a lot going on. At the beginning of February myself and my work colleagues were told that the bookshop that we have worked in for the past few years and also another branch of the same bookshop chain here in Dublin was closing down. I had worked in both branches. It has been a rather surreal few weeks. This coming Friday will be the last day that the staff will be in the shops. The news at the time of the announcement of the closures was on television, in the papers and of course on the internet. It has been so strange to go through something that is so personal and private and also public as our families, friends and customers were aware of what was or wasn't happening. We all got so much support from all of those people. We were told on a Tuesday that our shops were closing on the following Sunday. We have been working through our 30 days notice. I think the general public thought that we were finished completely on that Sunday in early February but for the time since we were told we have been packing up all the books and everything else that made the shop what it was. I have all sorts of memories from the almost 14 years that I have worked in both branches; friendships, meeting writers and various famous people, friends and family calling in. My jobs in both shops has also helped me pay my bills, go to places on holiday like New York and fund my college course. What has happened over the past few weeks is that the staff in the two shops have become united and as we come to the last few days that is the most important thing. I have worked with some great people over the years and what is wonderful about working in a bookshop is that everyone has something else going in their lives in relation to music, writing, college, family and loads of different interests. I know each person will go on to do something great in their own way. I can't describe the support you get from bookshop colleagues when you are doing study outside of your job, when you do well in an essay or exam. Because we have working away like elves in Elf for the past few weeks there has been a lot of music played in the shop. As I have said before booksellers are 99% indie music fans so as you can guess I could now do a thesis on indie music. I have heard some songs dozens of times thanks to the invention of the I-Pod. I don't own an I-Pod as I can't even operate a digital camera so I played none of my pop. Some indie songs I of course didn't like but there were several that I liked. I think my week in music has to reflect those songs so backtracking to last week the songs below reflect the songs that stood out for me. 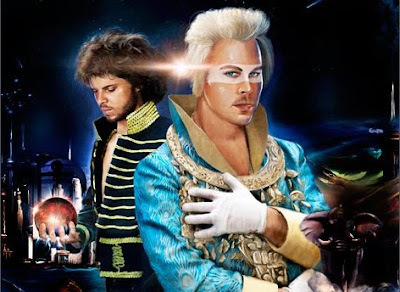 When Empire Of The Sun released We Are The People I didn't like it. I remember it was Enda Guinan's favourite song in the year when it was released but it is now the song that will always remind me of the past few weeks. I know if I hear it in a shop, in a bar or at an airport in years to come I will think of these past few weeks in the shop and the people I worked with.